It’s an exciting day in Blogland as we announce that Worcester Mag’s blogs, Daily Worcesteria and Diversions, have now been added to our website (rather than just iframed in, as is the current setup). From this point forward all new blog content can be reached by going to worcestermag.com > blogs and then clicking on which one you’d like to visit. Or just click here to go directly to Daily Worcesteria. Change your bookmarks. WordPress, you’ve been good to us but it’s time to move on. 7:18: M.O’Brien talks about his budget recommendation, rehashing previous power points about losing tax money and state aid while paying out more for increasing health care costs. No taxes are going up — the $10 million levy will stay where it is — but he does point out 129 city positions will be lost. All over the country last night impromptu rallies broke out after broadcasts that a US Navy SEAL team killed Osama bin Laden. Former Worcester Mag photographer/intern Matt Wright has photos of the crowds in Boston. The students who led a campaign to find an alternative commencement speaker for WPI’s graduating class received some good news from the school late Saturday night: they’ll be able to miss ExxonMobil CEO Rex Tillerson’s commencement speech and still walk across the stage later in the ceremony. 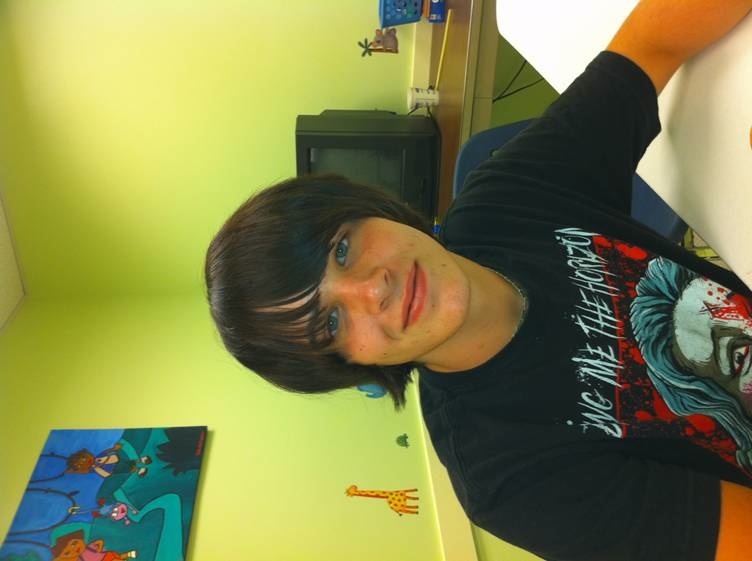 Tyler Gaudet has been missing since Saturday April 23 and was last seen in Worcester. Tyler is approximately 5’4, weighs 135 lbs. blue eyes and is 16 years old. It is believed he may have headed to following locations: Ayer, Leominster, Springfield, or may even still be somewhere in Worcester. Any information regarding his whereabouts should consist of notifying the police immediately at 508-799-8651. Three weeks ago some of Worcester Polytechnic Institutes’ students and faculty criticized the school for choosing Rex Tillerson, CEO of ExxonMobil, as this year’s commencement speaker. Dissenters charge the company hasn’t done enough to invest in clean energy, has active air and groundwater pollution lawsuits against them in New York and Massachusetts and still hasn’t fully paid punitive damages stemming from the 1989 oil spill off of the coast of Alaska — all issues that don’t mesh with the school’s mission statement or growing “green” image. We wrote about this in our April 14 issue.